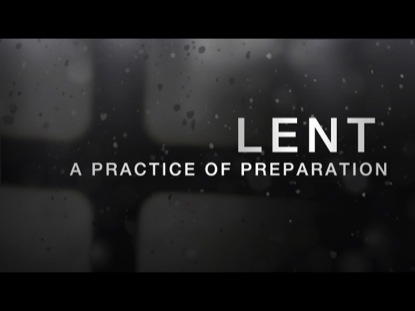 What Could Lent Mean for Evangelicals? a broad range of reactions to the Evangelical community participating in Lent in order to be well rounded in my approach. much more. But for my purposes initially, it is enough. reasons, one of them being how it was practiced by their contemporaries. the observance. To give up a sin for a time does not honor Christ’s sacrifice or his desire to fully transform us and bring us victory over sin. Again, very over simplified. of God and mystery of the gospel. They bid men vow to abstain from their sin for a season. let us not waste our time with it. We are to be led by the Spirit always. this practice and also how we can use it beneficially for our spiritual growth. more. I am not prepared to throw away the concept just yet. I myself participate in this practice. always viewed this work as opportunity for long term change. is such a game changer for believers, for me. go without enough time to contemplate. Life is moving so fast for me right now. with all that God accomplished by sending Jesus. serve a living, mighty God. The spiritual exercise of practicing Lent has helped me rejoice in this more fully, more mindfully. I hope everyone can find a spiritual exercise that will help them to achieve this preparation.